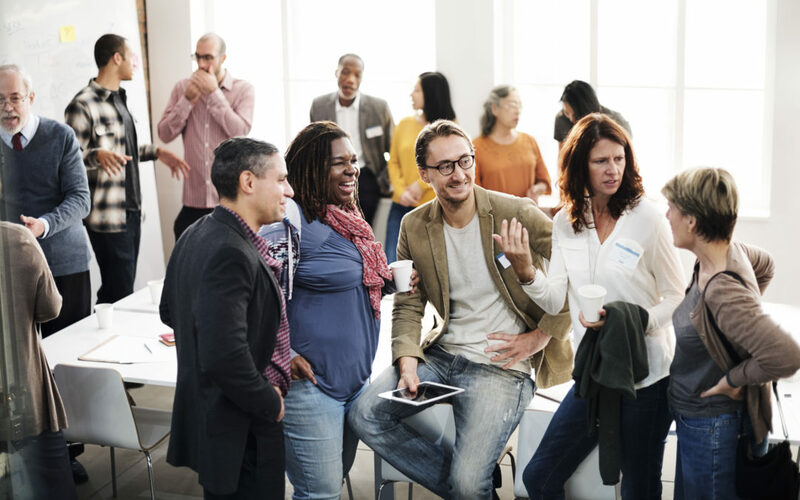 A new study from North Carolina State University suggests that organizations that make strides to achieve workplace diversity are also more innovative. This innovation manifests in more new products and, in some cases, even more patents and new uses of technology. Who doesn’t want more innovation, right? Forward thinking HR departments have embraced diversity for decades with varying degrees of success. But this can be contingent on the degree of management’s interest in having a diverse workforce in the first place, and as we hear in the news a lot of companies are failing when it comes to inclusion and non-hostile environments. With bottom-line outcomes like “more new products” maybe HR’s workplace diversity mission will get a little easier. In the field of leadership development and executive education, the idea of diverse teams being more robust and dynamic has long been understood. This is a big part of our 2017 introductions of the “Leading Across Generations” and “Recuriting, Retaining & Career Pathing” workshops in our Diversity Leadership offerings. Through these engagements we demonstrate how identifying stereotypes, deconstructing them and moving on creates an environment in which people are comfortable—even invigorated—by different perspectives, so they think more creatively. Collaboration becomes fun. With diversity focused talent acquisition, HR can contribute to a strategic goal of greater innovation using sophisticated assessments and hiring best practices that bring a continual flow of personnel from different backgrounds. Differences in gender, ethnicity, nationality, disabilities or age all contribute to a more interesting mix of ideas. Human Resources will continue to become more vital to companies’ missions in 2018 and now is a good time to evaluate your organization’s diversity policies, from hiring practices to the work environment. It’s great to bring in diverse employees, but you need to ensure that everyone feels welcome at the table, everyone has a voice and advancement is open to all. Assessments and business simulations are good ways to evaluate how your organization is doing. A business simulation serves as a laboratory to see how individuals engage with each other, in an off-line situation. Is everyone’s contribution being equally valued in the simulation groups? Is there diversity in how roles are assigned and accepted? Workshops are another way to model diversity behaviors. There are a several in our curriculum already, but we’re also finding needs in companies that require custom programs. That’s how “Leading Across Generations” came to be—our client was seeing a disconnect between older managers and a more millennial dealer base. Take a look at your organization through a diversity lens and assess where you are. If you need help, consider an outside consultation to reveal potential issues. Most importantly, approach diversity as competitive advantage rather than an government obligation. As the study from NC State suggests, it IS a competitive advantage.